You requested articles having title word(s) of Nathanson using expanded match written by all authors on all subjects in all journals in MLPI 1984 - present. 1. "Profiles of the Bench: New Judges of Ramsey County District Court [Rosanne Nathanson; George Stephenson; Steven Wheeler]"
2. "New Judges Appointed in Second Judicial District [Nathanson; Stephenson; Wheeler]"
3. "New to the Bench: Judge Rosanne Nathanson"
4. "Finalists Announced for 2nd Judicial District Bench [Cervantes; Fable; Fleming; Nathanson; Stephenson; Wheeler]"
5. 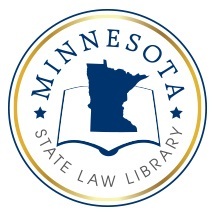 "Three Appointed to Ramsey County District Court Bench [Nathanson; Stephenson; Wheeler]"
Search LawMoose Minnesota collections for "Nathanson"
Search LawMoose World Legal Resource Center for "Nathanson"